Defined cheekbones that create a heart-shaped face are considered a desirable facial feature. However, some individuals have cheekbones that are hidden under rounded, square or plump cheeks. While many people lose their full or rounded cheeks as they age, some retain chubby cheeks as adults. In such cases, a cheek reduction surgery is an effective face & neck procedure that can define the cheekbones and create a more attractive facial appearance. Dr. Harirchian is a skilled and talented facial plastic surgeon who serves Houston patients with excellence in cosmetic cheek reduction. Cheek reduction is typically performed by removing buccal fat pads in the cheeks in order to create a more chiseled and contoured mid-face. Buccal fat removal to reduce full cheeks is a simple and straightforward procedure that can make a dramatic impact on one’s overall facial appearance. It can work to slim the face and accentuate the cheeks in a more desirable and attractive manner. Patients that have “chipmunk cheeks” or a face that is too round or square, can benefit from buccal fat removal. It is also used in individuals who simply want to enhance their cheekbones or gain a more tapered appearance in the lower face. 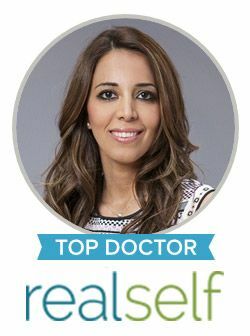 Dr. Harirchian performs buccal fat removal with incisions hidden entirely in the mouth. It is an intraoral procedure that is ideal for patients that want no visible scarring, minimal discomfort and quick healing incisions. The results are predicted to be natural-looking and long-lasting for optimal patient satisfaction. At our Houston office, we value the importance of using a patient-centered approach and delivering comfortable and safe care at all times. If you desire more contoured cheekbones, contact Dr. Harirchian today to schedule your consultation for cheek reduction surgery using buccal fat removal. We are dedicated to helping patients achieve the best version of themselves. Our office offers a full menu of procedures for the mid-face region, including surgical and non-surgical techniques.